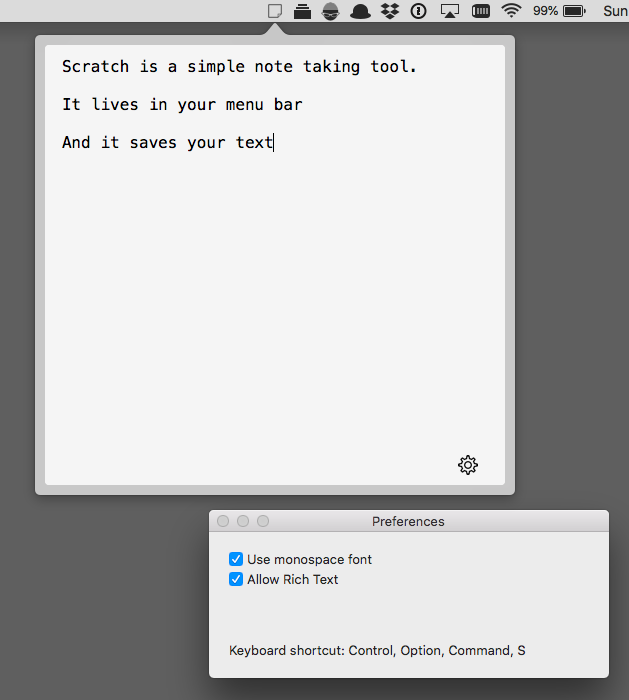 Scratch, as the name suggests is a textual scratchboard. 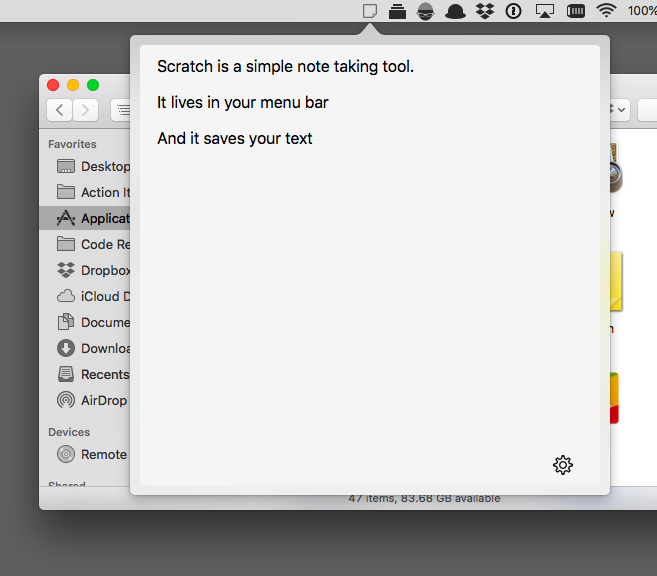 It sits in the menu bar and it has a single document that is persisted between the app opening and closing. That's it. You open it, type or paste in some text and you close it. When you need something you open it, and there it is. Right where you left it. If you would like to give it a try, you can download the latest build below. It's also available on Github for you to adapt to your requirements. Junction Seven is a trading name of RGB Consulting Ltd.